Among the limited edition items, experiences, etc. are signed set lists, signed drum sticks used on the upcoming album, the opportunity to play onstage with the band, an acoustic house concert and more. "I've never been able to have a pre-order that offers exclusive unique, personalized options that go beyond just getting the vinyl so that will be awesome," Bryce explains. "Rocket Summer fans know that they are just as much a part of this as I am, so I really can't wait to kick this off in a more interactive way with them." With the pre-order geared up and ready, Bryce is excited for what the future holds for himself and his fans, including a soon-to-be-announced tour - his first in over a year. "I'm excited to bring the album on the road and just play as much as possible," he adds. "We have some exciting things coming before 2016! I'm looking forward to seeing what places the album leads us to and to ultimately just get back to hanging out with my fans." "Sounds silly perhaps, but I felt pulled to be near an ocean, to be in a place where chasing art was in the air," he says about the genesis of the new album. "So, I headed west and rented a small house at the bottom of Laurel Canyon where I slept in one room and turned the other into a small studio. In a way, I pretty much didn't come out for a year. My only mission was to be creative as possible and to push myself further than ever." 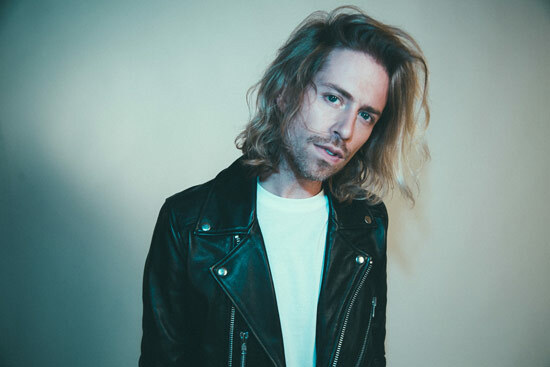 A vital voice in the alt-rock music scene in the last decade, Avary has released five studio albums and several EPs, many of which landed him at the top of numerous Billboard charts. With such keystone singles such as "So Much Love", "Walls", and "Do You Feel", Avary continues to be an omnipresent voice in the music scene. "When I was making this album, I knew something special was happening that I hadn't felt on previous albums. It's one of the best albums I think I've made… for me at least. Honestly, I didn't want to make a sappy record… I wanted to make a record that sounded like doors being kicked down and bombs going off. So much so that I sold my piano at the beginning of this as to not be tempted to make anything other than a high energy unique rock record - heavily guitar driven, which I know makin g a guitar record is one of the least in-fashion things you can do right now in alternative music but I couldn't care less about that."